Disclaimer: The following information is provided to help you better understand common horse hoof health issues. This information is NOT medical advice and you should not self-diagnose your horse’s medical condition. As always, if you suspect your horse is experiencing health issues, we strongly encourage you to seek medical advice by consulting your local practitioner. Laminitis results from the disruption (constant, intermittent or short-term) of blood flow to the sensitive and insensitive laminae. 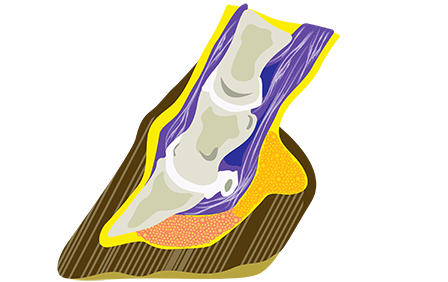 These laminae structures within the foot secure the coffin bone (the wedge-shaped bone within the foot) to the hoof wall. Inflammation often permanently weakens the laminae and interferes with the wall/bone bond. In severe cases, the bone and the hoof wall can separate. In these situations, the coffin bone may rotate within the foot, be displaced downward ("sink") and eventually penetrate the sole. 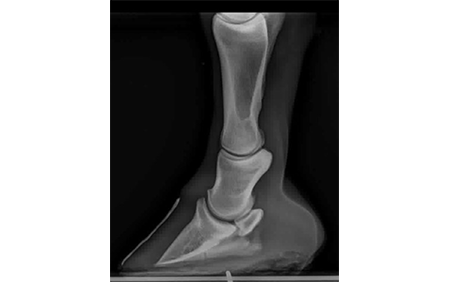 Laminitis can affect one or all feet, but it is most often seen in the front feet concurrently. 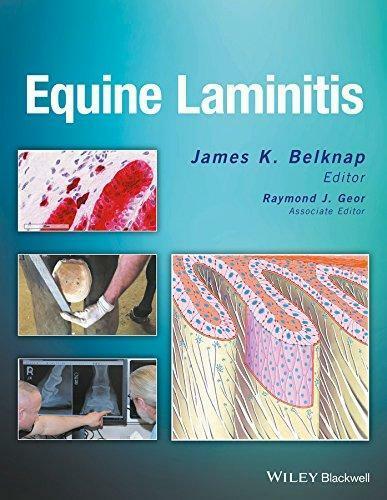 Equine Laminitis, edited by Dr. Belknap, is one of the premier textbooks and resources about laminitis in horses. If the laminitic horse is willing to walk, it walks with a short stride, trying to get each foot back on the ground as quickly as possible. A laminitic horse will stand with hind feet brought forward under its belly trying to shift most of its weight from the front feet, which are further in front of its normal stance. In sever cases where all four feet are affected, it might lie down and be very resistant to standing because of the severe pain. 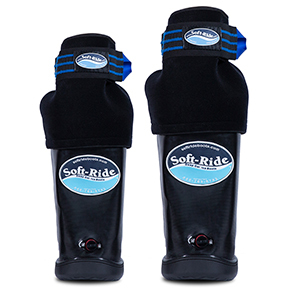 Practitioners and professionals around the world recommend and rely on Soft-Ride’s Equine Comfort Boots and Ice Spa to keep hooves healthy and to help horses recover from workouts and injury or illness. 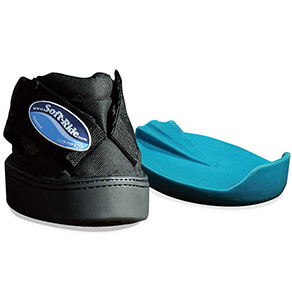 Soft-Ride’s horse hoof boots offer protection while stabling on hard surfaces or trailering to events, and are a smart choice to provide protective comfort when used as part of the everyday routine with your horse. They’re also used to soothe and comfort horses that are suffering from common hoof issues such as laminitis or navicular disease. The Soft-Ride Ice Spa is an easy, convenient way to provide your horse with a soothing ice bath. Practitioners and professionals alike regularly use an ice bath to help horses recover after a workout or competition, and they rely on the Ice Spa when following icing protocols to treat hoof health issues such as laminitis. The Ice Spa is also used without ice to treat abscesses and other conditions that call for soaking the feet and hooves in warm water. How to use the Ice Spa Prolong (Pro) with Dr. Joe Stricklin. Highlights the ease of use, the new zipper-less design, and the new retention collar design that makes it even easier to use. He also highlights the channelled orthotic design which allows for better cooling of the hoof, and that it's used it for foundered and hoof abscesses. "I've been using Soft-Rides since 2005. You can have a horse that is really, really tender-footed, and put the Soft Ride's on them, and they walk out like they are walking on a cushion. It really keeps them comfortable." The original & patented "boot for horses." Designed originally to keep horses comfortable in the stall and on the road, equine practitioners quickly realized our boot & gel orthotic provide comfort to injured horses and protection to a healthy hoof. The American Association of Equine Practitioners is also a good resource for additional information on laminitis. As always, please consult your local practitioner if your horse is experiencing any type of health problem.